WEST LAFAYETTE, Ind. – Researchers have shown that an advanced cooling technology being developed for high-power electronics in military and automotive systems is capable of handling roughly 10 times the heat generated by conventional computer chips. Similar “heat pipes” have been in use for more than two decades and are found in laptop computers. However, they are limited to cooling about 50 watts per square centimeter, which is good enough for standard computer chips but not for “power electronics” in military weapons systems and hybrid and electric vehicles, Garimella said. The findings are detailed in a research paper appearing online this month in the International Journal of Heat and Mass Transfer and will be published in the journal’s September issue. The paper was written by mechanical engineering doctoral student Justin Weibel, Garimella and Mark North, an engineer with Thermacore, a producer of commercial heat pipes located in Lancaster, Pa.
“We know the wicking part of the system is working well, so we now need to make sure the rest of the system works,” North said. Computational models for the project were created by Garimella in collaboration with Jayathi Y. Murthy, a Purdue professor of mechanical engineering, and doctoral student Ram Ranjan. 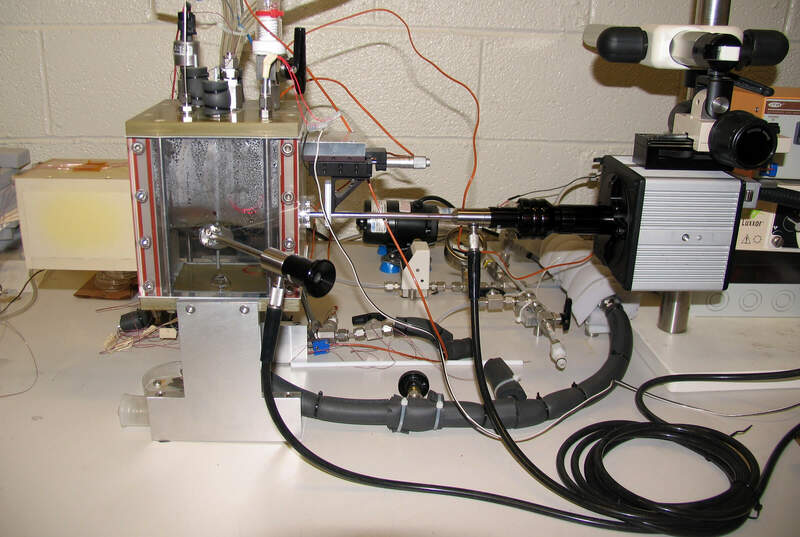 The carbon nanotubes were produced and studied at the university’s Birck Nanotechnology Center in work led by mechanical engineering professor Timothy Fisher. The researchers are creating smaller pores by “nanostructuring” the material with carbon nanotubes, which have a diameter of about 50 nanometers, or billionths of a meter. However, carbon nanotubes are naturally hydrophobic, hindering their wicking ability, so they were coated with copper using a device called an electron beam evaporator. “We have made great progress in understanding and designing the wick structures for this application and measuring their performance,” said Garimella. He said that once ongoing efforts at packaging the new wicks into heat pipe systems that serve as the thermal ground plane are complete, devices based on the research could be in commercial use within a few years.